Whatever happened to The Man of Tomorrow? In the late ’70s, when Richard Donner and Mario Puzo were making their Superman movie, they realized that the lead character, when in costume, lacked a personality. He’s tough, he’s fast, he can fly, and those abilities define him. It may be impressive as spectacle, but it’s a hard lead for an audience to connect with, and so they chose to focus on Clark Kent — in short and in a bad pun, theirs was a classic because it was more Man than Super. Now, with Man of Steel, Snyder, and his writers David S. Goyer and Christopher Nolan, do precisely the opposite. The film opens with the usual prologue, though seeming far more extended here, on Krypton. Jor-El (Russell Crowe) is arguing with the planet’s elders about mining the core of their world — he warns them that the planet has only weeks left before it implodes, and as soon as he’s dismissed, General Zod (Michael Shannon) appears and starts blowing the elder’s palace up. Jor-El escapes to his wife Lara (Ayelet Zurer), who has just given birth to their son, Kal-El, Knowing the planet is doomed, they place him in a shuttle and shoot him off to earth, but not before Jor implants a whatsit codex into the ship. Zod attempts to intercept the shuttle, killing Jor-El in the process, but is overpowered, tried, and sentenced to the Phantom Zone, a kind of black-hole prison. Krypton implodes, and Kal makes his way to earth, specifically to the Kansas farm of Jonathan and Martha Kent (Kevin Costner and Diane Lane), who adopt the boy and impart to him the lessons of compassion and anonymity. I will say that it’s clever of Goyer and Nolan to handle Kal-El’s childhood in flashback, lest we sit through another hour or so of an origin story whose end we already know. Summer is a great time for movies, especially if you’re a geek. With Iron Man 3 and Star Trek: Into Darkness already in theaters, we can next look forward to Man of Steel. Uh, oh. Does Superman end up kneeling before Zod? What do you think? Check out the trailer after the break. Man of Steel arrives in theaters on June 14. Broken City is no Chinatown. It takes many of the 1974 Polanski classic’s basic elements – both protagonists are private eyes who used to be cops and specialize in extramarital affairs. Both get involved in schemes to bilk to poor schlubs of a major city (both schemes being land deals, no less). Both have troubled pasts, get in over their head, and see a case through when they’d be better off keeping their eyes shut. Both have confrontations with the villains that end with them being told that they may know what they’re doing but don’t. Only Chinatown did it really, really well and has what is widely recognized as one of the best screenplays of all time. Broken City, to put it mildly, doesn’t. Despite being among the Hollywood “blacklist” of the purportedly best yet unproduced scripts, it’s an immensely plodding and dull story whose “twists” are so predictable, that one can easily lay out the movie’s entire course simply from the trailer. Wahlberg plays Billy Taggart, the P.I. who’s hired by the mayor of New York City (Russell Crowe) to discover whom his wife (Catherine Zeta-Jones) is schtupping. Naturally, Wahlberg uncovers some sordid details about both the mayor as well as his political rival (Barry Pepper). Someone tips the ruckus, some people get whacked, and Taggart all but ignores it to struggle with his own personal issues including an actor girlfriend (Natalie Martinez) and a history of possible alcoholism. I’ve read a lot of novels, and I’ve heard that Les Misérables is the best. I hadn’t read it, and I didn’t believe it. After seeing Les Misérables, I’m starting to. The film is based on the musical, but its chief accomplishment is adapting the depth and breadth of an immense work. Like the best of Dickens’, Tolstoy’s, and Dostoevsky’s plots, Victor Hugo’s were thought experiments, taking an archaic or cancerous institution and following it through to the logical and often tragic conclusion. Jean Valean steals a loaf of bread and is imprisoned for 19 years. Upon release, he must carry the past with him in his release papers, so that no man will give him work. Destitute, his last resort is to rob a church of its silver, and only through the uncommon kindness of its priest is he granted a new life. But it is threatened. Valjean has torn up his papers and in doing so risks life imprisonment — a man’s life extinguished for a mere legal technicality. Years later he becomes a successful businessman, where the unfortunate Fantine is employed, but by chance he is reintroduced to Inspector Javert, the man who oversaw his imprisonment and now dedicates his life to hunting Valjean. The musical is one of the most interesting types of storytelling. It is all together ludicrous to have all of your characters stop what they are doing and relate their emotions in song. But for all that silliness it is also one of the most pure and powerful ways to convey emotion and impact onto an audience. One of the most popular, and longest running, musicals out there is Les Miserables, based on the Victor Hugo novel. The story is classic and has been adapted before for film, but now the popular musical version is receiving the big budget cinematic treatment. Now we get our first look at what exactly we can expect from this big budget cinematic adaptation in the form of the film’s first trailer. You can judge for yourself if it feels suitably epic for you, but I can assure you this feels very right. The cast seems spot on, and the look and tone seem to be right as well. For those of you who have yet to experience the music of Les Miserables in some form or another yet in life, do yourself a favor and pencil this one in to your year-end movie watching calender. The movie comes out this December and you can check out the trailer after the jump. Following his success with Black Swan, director Darren Aronofsky has made the ambitious decision to have a biblical epic as his follow up film. The film is Noah, which will center on the biblical tale of Noah’s Ark. Due to his estimated $130 million budget, Aronofsky is looking to find a bankable star to get backing on his passion project. Originally, He wanted Christian Bale to star, but Bale passed. Aronofsky looked at Michael Fassbender as a good replacement, but Fassbender claimed to be too busy. Now Deadline is reporting that Darren has finally found his Noah, and it is Gladiator star Russell Crowe. Even though no deal has been officially signed, an agreement with Crowe is said to be in place. With Crowe seemingly in place, Aronofsky is now searching for the villain of the film and has his sights set on Liam Neeson. The villain will argue against Noah’s faith as he builds a massive ship to weather the impending flood. Paramount and New Regency want to start shooting Noah this summer for a 2013 release. Aronofsky has already told his version of the story of the Bible’s Noah through a graphic novel with artist Nico Henrichon. The story is not a direct interpretation of the original biblical tale but a more fantastical vision of the story. Aronofsky has been dreaming of bringing this story to life since he was 13 years old. Now John Logan is re-writing the film’s script and various studios are getting interested in co-financing the ambitious project. For a sneak peak at the graphic novel, see the video after the jump. Pardon the French. 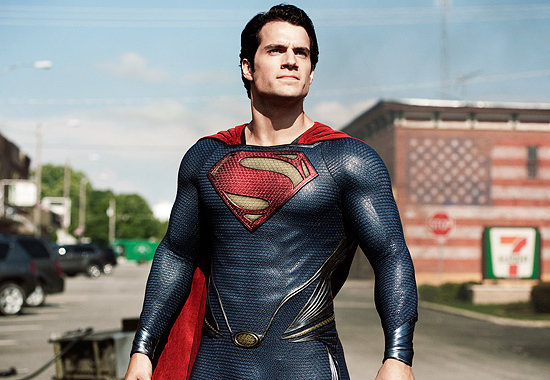 First Synopsis For ‘Man of Steel’ Hits The Web But What Does it Mean? Since we first started getting casting news about Zack Snyder’s upcoming reboot/sequel to the Superman franchise titled Man of Steel, questions have been flying in from every direction about what the possible story could be. In the pantheon of superheroes, Superman is the most recognized and revered character of all time. Clark Kent/Kal-El (Henry Cavill) is a young twentysomething journalist who feels alienated by powers beyond anyone’s imagination. Transported to Earth years ago from Krypton, an advanced alien planet, Clark struggles with the ultimate question – Why am I here? Fans of Zack Snyder’s upcoming Superman flick Man of Steel (although, not sure how one can be a fan since it hasn’t been released yet) will have to wait a little longer to get their fix. Warner Bros. announced that the movie will open June 14, 2013 instead of in December 2012. Hopefully that won’t upset too many Superman fans who’ve been awaiting a new Superman movie since 2006’s Superman Returns Superman IV: The Quest for Peace Superman III for a long time. The good news, if you haven’t heard it yet, is that Christopher Nolan and David S. Goyer, the dream team behind Batman Begins and The Dark Knight are still attached and working on the script. And, if you need your DC crack until then, there’s always The Dark Knight Rises, coming out next year. 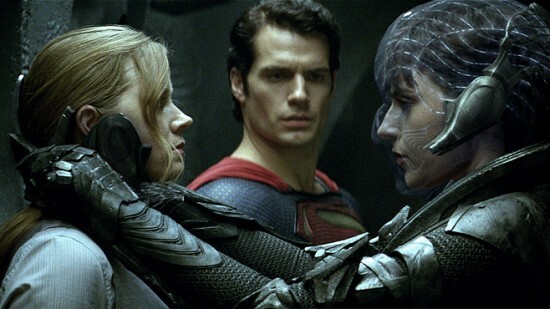 Man of Steel stars Henry Cavill (The Count of Monte Cristo) as Superman, Amy Adams (Catch Me If You Can) as Lois Lane, Diane Lane and Kevin Costner as Martha and Jonathan Kent, and Michael Shannon (Boardwalk Empire) as General “Kneel Before!” Zod. Russell Crowe is reported to be in final talks as Jor-El. Obviously, we’ll be following this one pretty closely. Casting for this film just gets weirder and weirder. First we learned that redhead Amy Adams would be playing the brunette and love interest of the titular Man of Steel, Lois Lane in the upcoming Superman reboot from director Zack Snyder. Then we learned that both Kevin Costner and Diane Lane were both cast to play the Kents, Superman’s Earth parents. And now we’re getting probably the weirdest of news. THR is reporting that Russell Crowe is interested in portraying the late Kryptonian father of Superman, Jor-El. This comes as a bit of a surprise, considering the pickiness that Crowe has established in picking his previous roles. One can only imagine that it’s the pedigree of following Marlon Brando as the character, who reportedly was paid $3.7 million back in the mid-70’s for a measly 15 minutes of screen time. Could Crowe be going after that same easy cash? Or is he a closet Superman fan that we never knew about? The film also stars Tudors actor Henry Cavill as the red-caped hero, and Boardwalk Empire star Michael Shannon as the film’s villain, General Zod. With Zod being the villain in the film, we can expect Crowe’s alleged Jor-El to play a slightly larger role in the film, as it was he who imprisoned Zod in the Phantom Zone all along. We hope to hear more (and hopefully get a title) soon as the film begins shooting later this year in Vancouver.